The Jackson Hole gallery scene is an arts festival every day with works ranging from classic and rare pieces by Modern Masters to emerging artists and a bevy of western art on display throughout town. Whether you’re looking for décor, mementos, or collectibles, Jackson Hole galleries can and will accommodate the most discriminating of tastes. Walk around the Town Square or down any side street and you will discover an environment that rivals any major city across the nation. It’s not uncommon to meet an artist of note any time of year—that’s just western hospitality. When you discover the world of Jackson Hole’s art gallery scene, you will become immersed in the beauty and imagination of fine art that will keep you coming back every season. Mountain Trails Gallery represents renowned contemporary and western artists featuring an eclectic mix of representational and impressionist paintings and sculpture as well as a broad selection of western artifact reproductions. A wide variety of subject matter is offered, including western, figurative, wildlife, still life, and landscapes within the 6,500-square-foot location on the northeast corner of Jackson Hole’s Town Square. June exhibitions at Mountain Trails Gallery include works by Edward Aldrich, June 18-24 and Tammy Callens, June 26-July 2. In July, the gallery will feature work by Troy Collins, July 3-9 and Amy Poor, July 16-22. August exhibitions include Krystii Melaine, August 7-18, Jeff Pugh, August 19-27, and Mark Gibson, August 28-September 8. September shows include works by Nicholas Coleman, September 10-16 and a Fall Arts Festival Quick Draw Artists reception on Saturday, September 19, at 10 a.m. Check the Mountain Trails Gallery website for information about receptions opening each exhibition. Mountain Trails Gallery’s featured artist Amy Poor exhibits a sense of looseness and a comfortable nontraditional style in all her work. 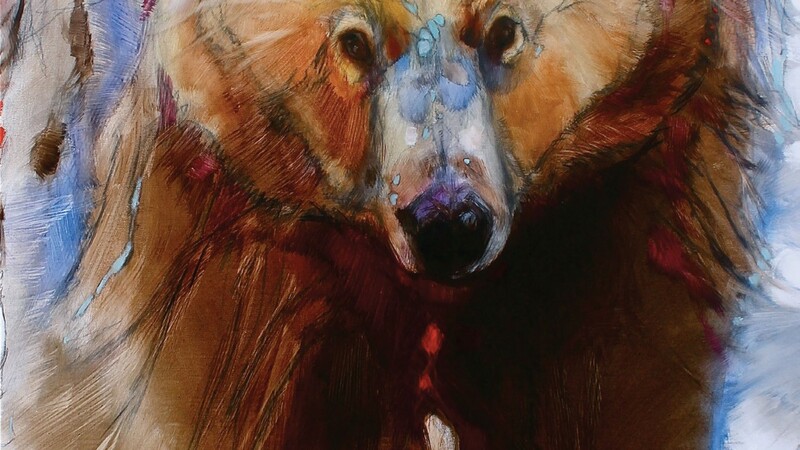 As a Jackson Hole artist, Poor is heavily inspired by her experiences growing up in the shadow of the Eagle Cap Wilderness in northeastern Oregon, where she developed an intimate love and fascination for the animals and wildlife on her family’s five-generation mountain ranch. She drew constantly and knew early on that she wanted to be an artist. Pugh’s work has been collected nationally. He has taken advantage of several opportunities to study with John Erickson and Gary E. Smith, both of whom have helped diversify and enrich his work. Poor lives in Millcreek, Utah, with his wife Julia and three children. For Pugh, his work has helped him learn and grow, and it has filtered the way that he views his surroundings. 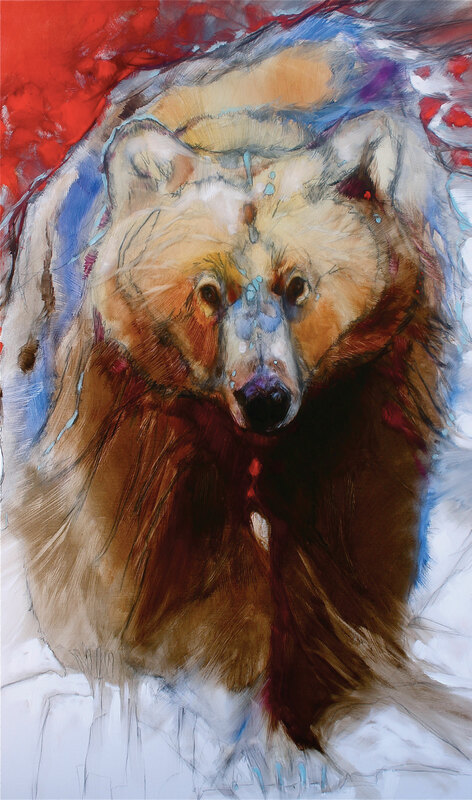 His exhibition at Mountain Trails Gallery will be his first Jackson Hole exhibition. “I no longer ignore the beauty of the landscape,” says Pugh. “It isn’t just dirt, trees, and sky. It’s a compound of colors, values, and shapes. As I continue to paint, I realize that I am just beginning to scratch this surface. It has intrigued me and so I continue to paint in hopes to discover even more.” Pugh’s body of work at Mountain Trails Gallery caters to barns and his signature cow depictions. This show will have several barns, cows, and many more rural landscapes, according Pugh. “The themes have changed because I’m starting to put more symbolic pieces in my work such as adding a windmill, a symbol of my family and current life,” he says. “Five of us in a field as cows and the barn as our home.” Pugh explains that haystacks are symbols of his labor and the work he has put forth and a barn is a place of safety.